I have been suffering grapefruit mania. . . It all started last week when I chanced upon the sweetest, most delectable grapefruit I'd eaten in my entire life--and my life has been far from devoid of grapefruit. 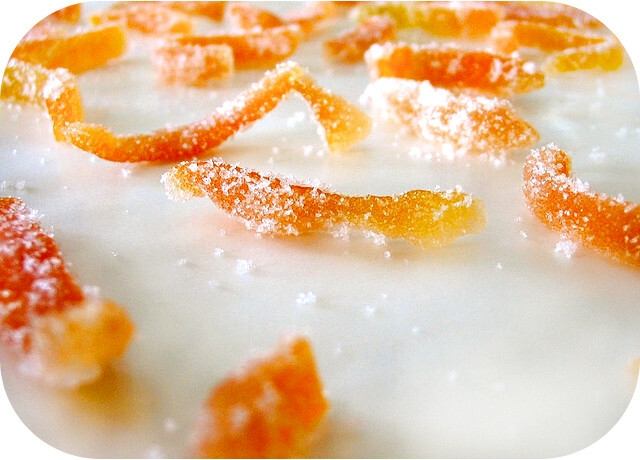 And eating candied grapefruit peel until my tummy hurts. 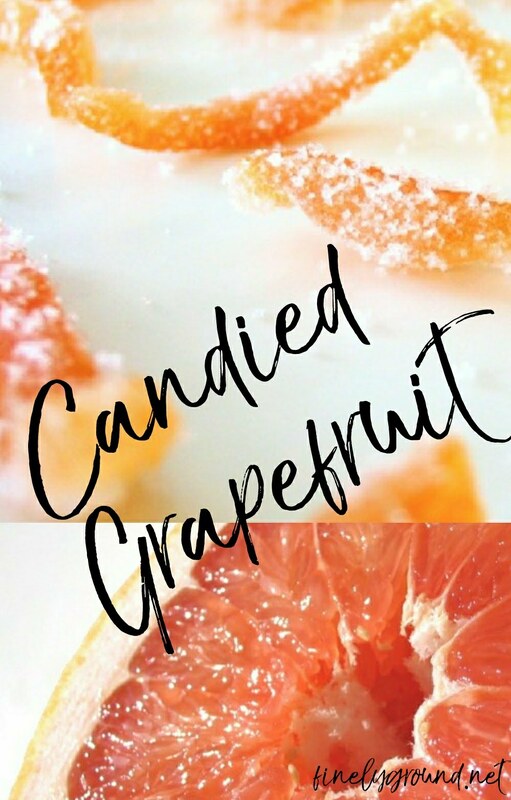 Self-control is a wonderful thing, but it has no place next to grapefruit. Next time you end up with citrus peelings, give this recipe a try. Scrape out most of the pith. You don't want more than 1/8" left on the peel as it's pretty bitter. Cut your peel into strips about half an inch wide. Cover with cold water in a saucepan and bring to a boil. Boil for five minutes and drain. Repeat this 3 or 4 more times to taste. You're drawing out the bitterness. Cook till the peels are translucent, probably 15 or 20 minutes at a simmer. With a fork, transfer the peels to a sheet of waxed paper to cool. Optional: if they're pretty sticky, you could roll them in more sugar. + If you're at a high altitude, you should test and see what temperature your water boils at and adjust accordingly. For example, I live at about 5000ft, and my water boils at 200* instead of 212* (at least, according to my candy thermometer! ), so I needed to heat my sugar water to about 218* instead of 230*. If you let it get too hot, the sugar may get clumpy and crystalize. I tried your recipe, and it is delicious! I made it when my family came to visit and they devoured it in about 20 mins. My youngest sister kept asking if there was more. I still enjoy making this. Thanks so much for the recipe!